← Ocasio-Cortez Blows All 8 Gaskets—AGAIN! Abramowitz described the source as “close” to the couple. Sources told Bloomberg News last week that federal prosecutors in Manhattan are reviewing the case – raising the prospect that AMI may have violated its immunity deal with federal prosecutors in exchange for the company’s cooperation against the Trump Administration. Under the Sept. 20 agreement, the tabloid publisher was supposed to refrain from all illegal activity for a three-year period. The agreement says that if New York-based AMI commits any crime, it can be prosecuted for the ones it was granted immunity against, including perjury and obstruction of justice. “[The] agreement to refrain from prosecuting AMI and [the company’s CEO David Pecker] was because the prosecutors saw some value that their investigation would receive based upon truthful information coming from AMI and Mr. Pecker,” Jeff Tsai, a former federal prosecutor, told The Hill. “However, the value of AMI and the value of Mr. Pecker becomes severely tarnished or diminished if they are themselves continuing to engage in criminal activity or saying incorrect or untruthful information,” Tsai added. 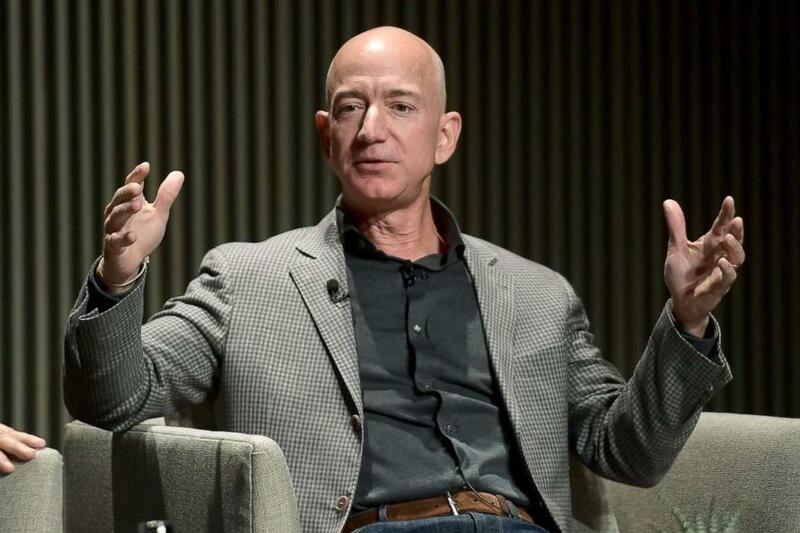 Legal experts, though, are split over whether the situation alleged by Bezos describes “extortion and blackmail,” mainly because federal definitions of those crimes are narrow. “I’d be comfortable arguing to a jury that this goes well beyond legally acceptable boardroom hardball,” wrote Honig. Former federal judge Paul Cassel told The Hill that he thinks the emails in question may amount to extortion or blackmail under a separate US criminal code section governing interstate communications. “Of course I don’t want personal photos published, but I also won’t participate in their well-known practice of blackmail, political favors, political attacks, and corruption. I prefer to stand up, roll this log over, and see what crawls out,” Bezos said in his Thursday post.